Grinders | Canton, Ohio | dreaming of the next bite. Sometimes it takes a while to discover a perfectly great restaurant that’s right under your nose. Such was the case with Grinders Above and Beyond, a local chain of six family restaurants in Stark County and surrounding areas. While the term “family restaurant” often conjures unpleasant imagery of tired menu offerings, old people, and a general lack of culinary creativity or “scene”, Grinders goes above and beyond all that (ha) and manages to stay pretty cool. This post is centered around the North Canton location, which I find to have a comfortable and visually-interesting dining room, a better-than-average patio, excellent servers, and a bustling crowd pretty much every time I visit. But it wasn’t until last summer at a company luncheon, catered by Grinder’s, when I finally became a fan of their cuisine. It was the Key West salad that sucked me in. My sweet tooth can’t resist this salad. 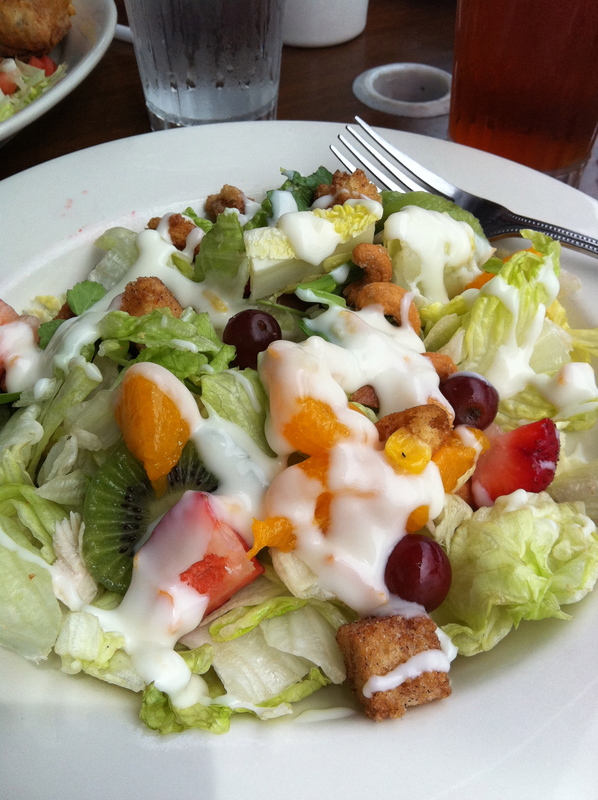 It is mix of iceberg and romaine lettuce, fresh strawberries, kiwi, grapes, mandarin oranges, cashews, cinnamon croutons, and, the piece de resistance, the sweet and creamy homemade coconut dressing. This salad gets major points for originality (cinnamon croutons and coconut dressing?! ), and comes ridiculously close to topping my absolute favorite Canton salad on taste: the California chicken salad from Mulligans Pub. So once I tasted the Key West salad, I started to understand why Cantonites love Grinders so much. 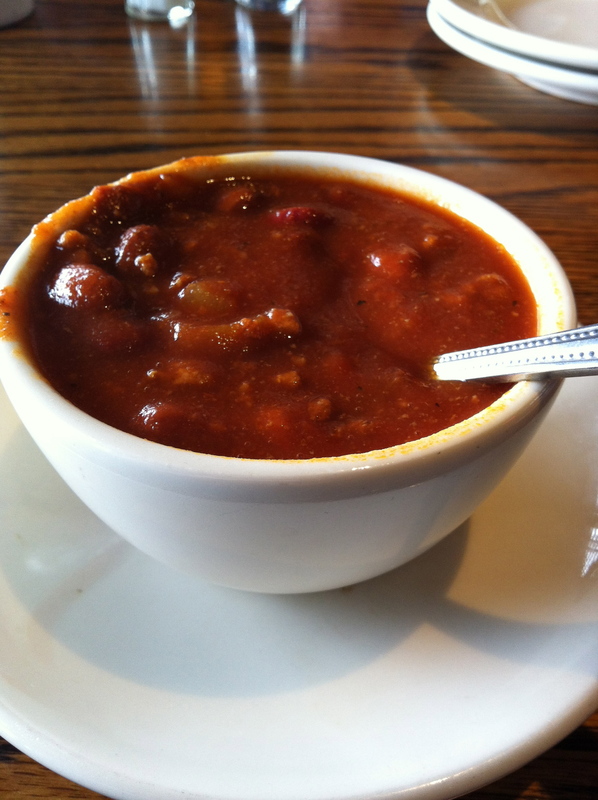 They also make some killer chili; it’s spicy, hearty, and flavorful. And from what I hear, all the soups are delicious and homemade. 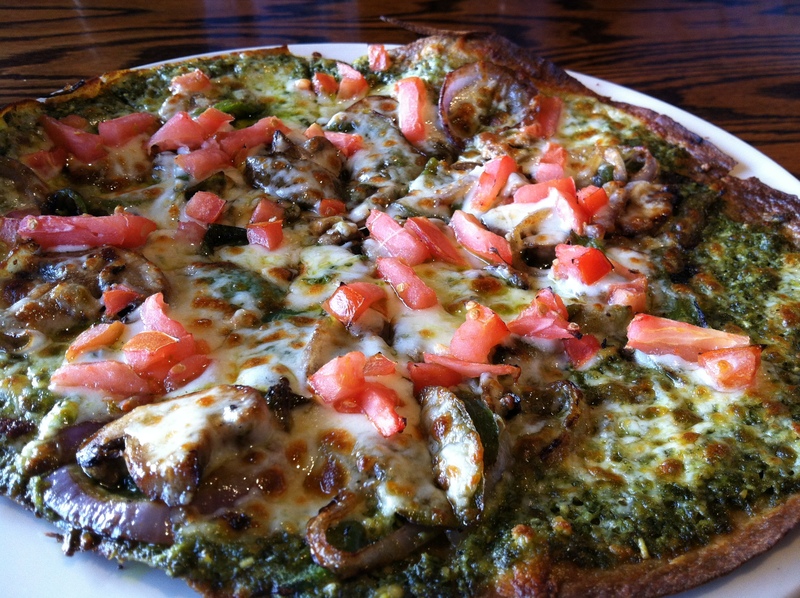 What I really like about Grinders is that you can find menu items that you won’t see anywhere else in town, like their veggie pesto flatbread pizza (below). Side note: personally, I think the name of the restaurant does them no justice; don’t let it fool you. You can get a grinder (sub) pretty much anywhere; it’s the rest of their menu that stands out. Enough already with burgers, chicken, and bar food! How good does this look?! The “crust” is actually a whole wheat wrap (so low carb), topped with pesto, caramelized red onions, mushrooms, fresh tomatoes and provolone cheese. Yum! And last but not least are Grinder’s legendary desserts and bakery items. On any given day or night, you can request to see the dessert tray which is loaded down with a variety of freshly baked treats like this one, which is a cross between lemon meringue pie and a fluffy lemon cheesecake. It completely blows away any other lemon dessert, anywhere. So definitely give Grinders a try. If you’re from Canton, you’ve probably been to Grinders before, or perhaps you’re already a regular. If so, do yourself a favor and order something besides the grinders. They’ve got a whole awesome menu of original dishes; my secret plan is to try them all. 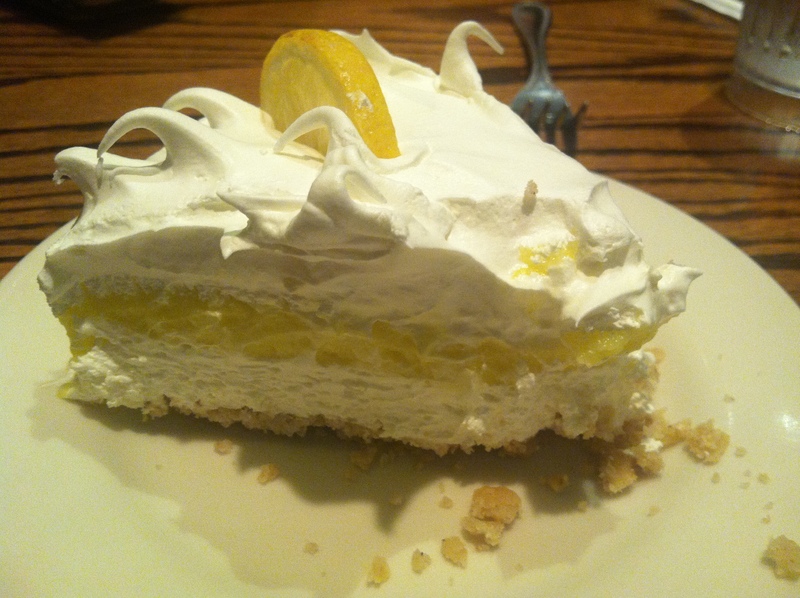 This entry was posted in Canton, OH and tagged dessert, pie, salad by Yvette (@foodiedreamer). Bookmark the permalink. I’ll have to check them out. I haven’t bothered because I’m not that into subs, but a whole wheat crust pizza sounds delish! Love Grinders! I have dreams about their veggie burger! It’s the best I’ve ever had. I have worked at Grinder’s for years, thanks for the great review! Love my job! love our food! Can you share the recipe for the Key West salad dressing? Just had the salad and loved it! I absolutely LOVE Grinders! I dated a guy from the Canton area and we would go there all the time. And their subs are really good too! Fresh grilled asparagus year round, awesome vegetarian vegetable soup, scrumptious home made potato chips, lovely ginger mahi-mahi – a real variety and my favorite place to take out of town guests. Thanks for the review – anxious to try that salad now. 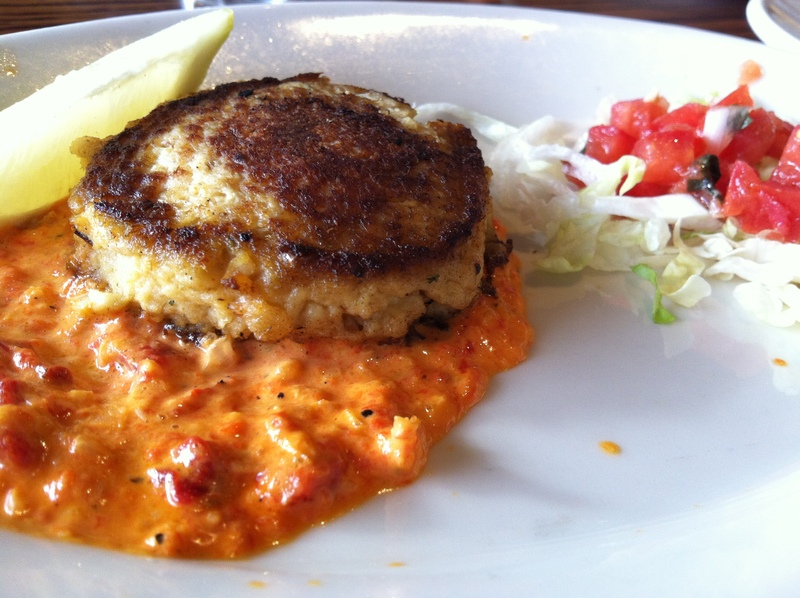 Thanks for your great review- my current favorite is our blackened mahi mahi – comes as a dinner or a sandwich. It really is yummy- and this is from a non-fish lover. Oh wow, I tried the blackened mahi mahi sandwich today per your recommendation…served with bacon and a scrumptious chipotle tartar on challah roll. Unbelievable! !